TheSyndicateTips offered two different type of tips. Exclusive insider tip for the price of $350. 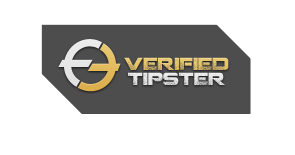 For every losing tip we will provide 2x same type tips replacement. 1 for you to cover previous loses and another 1 to gain profits. With a $350 we guaranteed a return of minimum $1500. Tip will be ready daily latest at 1500 (GMT +6) and will send to all paid members directly by email. TheSyndicateTips signature FIXED TIPS. Only available 3 to 4 matches per week and usually cover minor leagues. The odds of the tip will be minimum 2.5 to 4. We will provide 2x replacement if the tip lose and the hittting rate consistent above 80%. With a $5000 bet per match we guaranteed a return of 100%. Tips can be send to either mobile or email. A soccer betting tips handicapping services TheSyndicateTips 2012.All rights reserved.